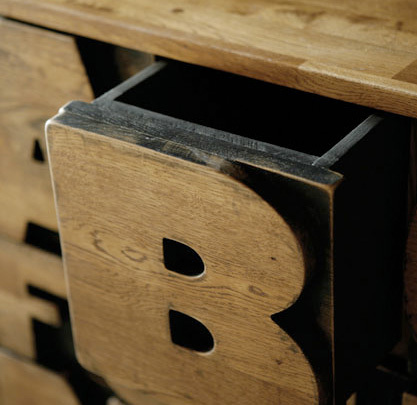 If It's Hip, It's Here (Archives): The Alphabet Chest Has 26 Reasons To Use It. 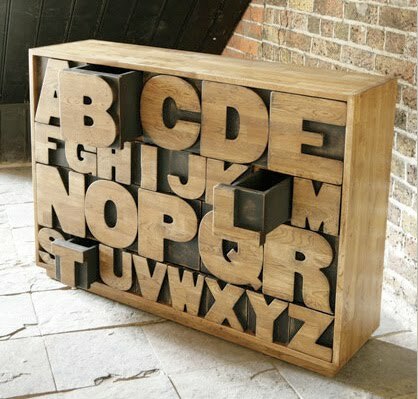 The Alphabet chest of drawers by hand crafted furniture makers, Kent and London, is inspired by old printer's blocks. 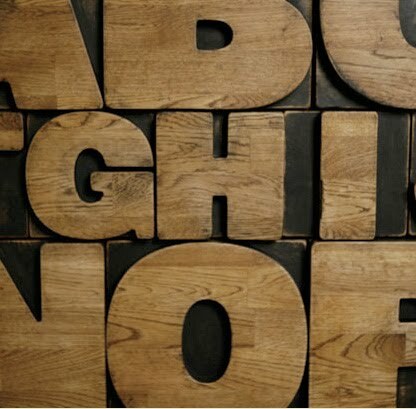 Each letter represent a drawer. 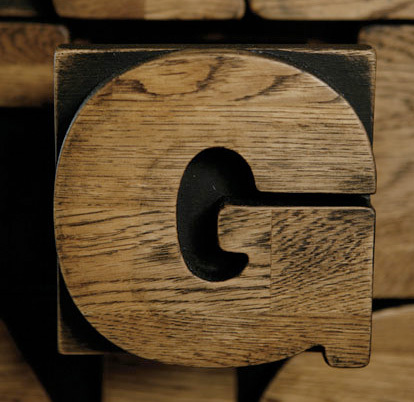 The completely handmade piece is crafted of solid oak and stands about waist-high. 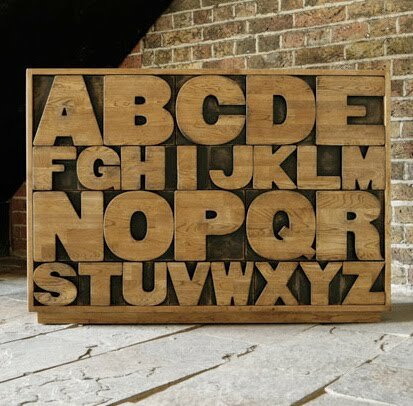 In addition to being a lovely piece for a children's room, it's make a great chest for a copywriter, typographer, editor, or any typophile. It is made to order so they need a lead time of three to six weeks. Since it is hand made, I'm sure other finishes are available if you'd prefer a less rough hewn look. Delivery is free within the UK, and I'm not sure if they ship overseas. Below is their contact info.